Adde Zetterquist Art Gallery offers a unique opportunity for encountering art, surrounded by beautiful architecture and spectacular nature. 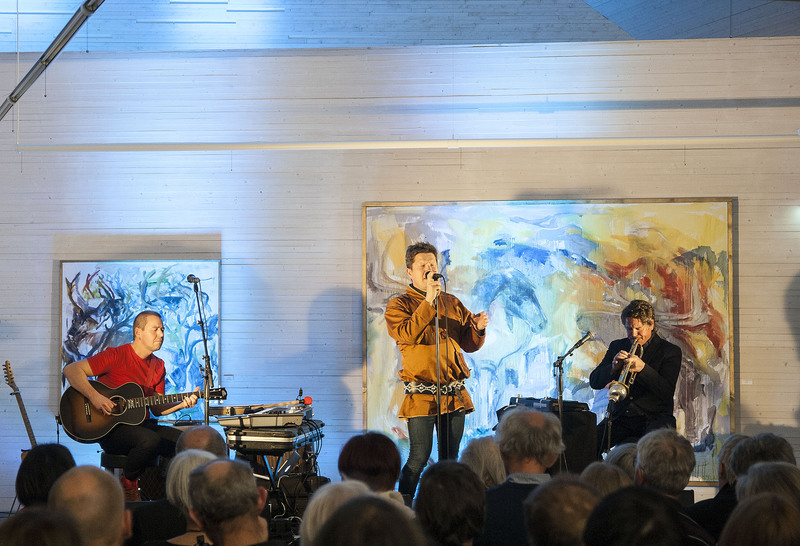 Adde Zetterquist Art Gallery is joined with Nordland National Park Centre, localised at Storjord in Saltdal, directly north of Saltfjell. 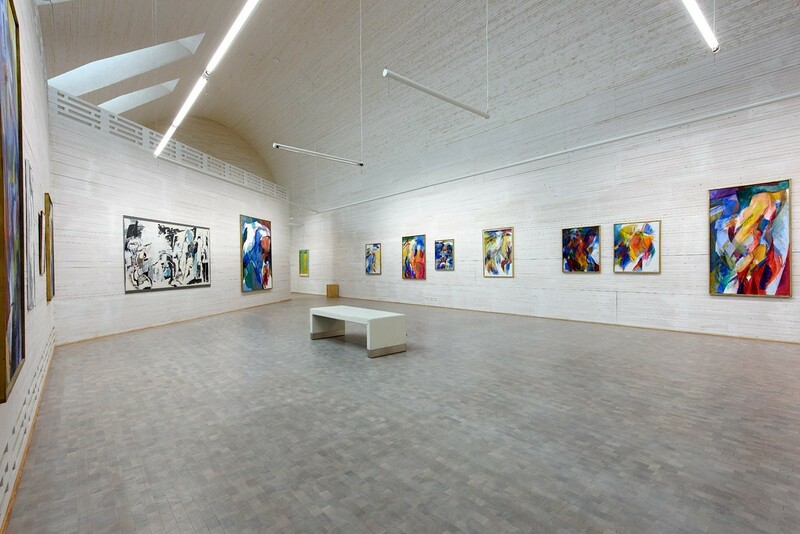 The gallery has two separate spaces dedicated to Per Adde’s paintings, and Kajsa Zetterquist’s paintings and drawings. The exhibitions are regularly changed with different works from our collection. There is also an adjoining space for guest exhibits. Since its opening, the gallery has exhibited a variation of artists, techniques and themes. The first exhibit of every year is Sami themed. The installation “Life and Work” is exhibited in our vestibule. Here you can learn about the artist’s unusual lives and the causes they’ve fought. The exhibit consists of text, quotes and pictures from Per and Kajsa’s lives. 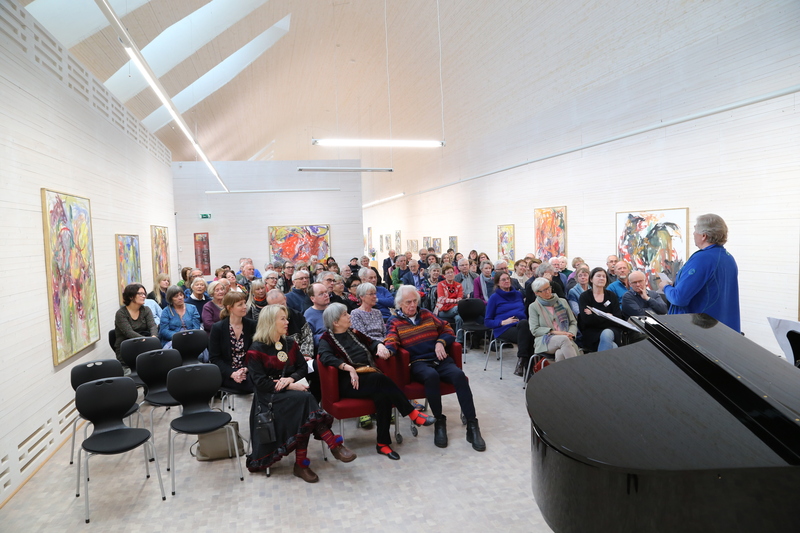 Adde Zetterquist Art Gallery hosts many exiting events, such as author Q&As, concerts, talks and courses. The gallery also has a workshop offering art and nature activities for young and old, with room for 12-15 visitors. 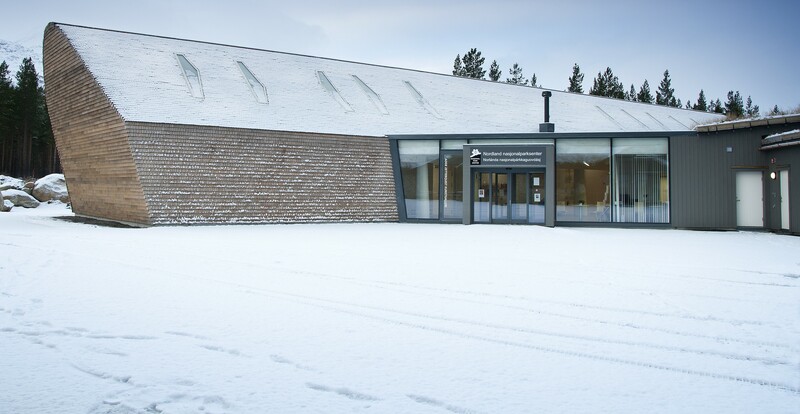 Additionally, we offer guided tours of the gallery and Nordland National Park Visitors Centre. Please get in touch with us for an offer. Directions Adde Zetterquist Art Gallery is joined with Nordland National Park Centre, located by the European route E6, at Storjord in Saltdal, directly north of Saltfjellet. It is 125 km to Bodø (north), 38 km to Rognan (north), and 113 km to Mo I Rana (south). Saltdal Tourist Centre is our next-door neighbor who offers food and accommodation. In the summertime you can also spend the night at small and charming Storjord Hotel. Bus: The nearest bus stop is Saltdal Tourist Centre. Train: The nearest train station is Lønsdal Train Station, that is located 11,5 km away. Røkland Train Station is located 22 km away. The buses also stop at Røkland. Airport: The nearest airport is Mo i Rana Røssvoll Airport (102 km south) or Bodø Airport (117 km north).